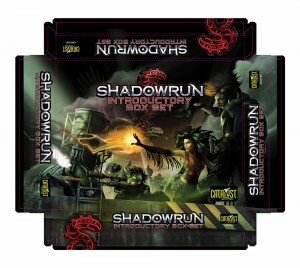 Catalyst Game Labs is showing off the box art for the upcoming Shadowrun Box Set and gives us an update about progress for it. We announced the coming of an Introductory Box Set way back in February, providing some solid details on why we’re doing a box set and an overview of its contents. So I’m not going to spin our wheels going over that again.